SoSoSwift - Swift for Windows (2018) - Learn Swift In Your Browser! Video: Swift for Windows (2018) - Learn Swift In Your Browser! 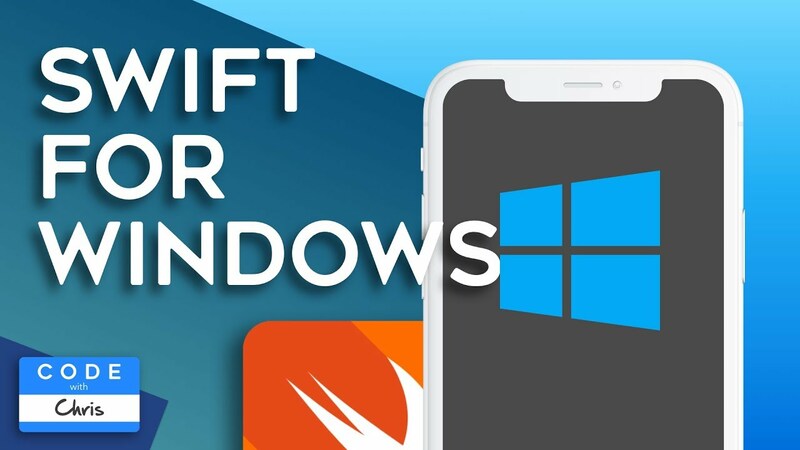 Run Swift for Windows without any extra software or paid services! Links: - SEFiddle: http://play.swiftengine.io/ - Learn Swift Lessons Playlist: https://www.youtube.com/playlist?list=PLMRqhzcHGw1ZqzYnpIuQAn2rcjhOtbqGX - Swift Cheat Sheet: https://codewithchris.com/swift-cheat-sheet/ This is a game changer for everyone who doesn't have access to a Mac because you'll be able to try out Swift code straight from your browser window! Even if you do have a Mac, this is going to allow you to quickly and easily test out Swift code without firing up Xcode. The code snippets are also shareable via links so I can link to any Swift code snippets that I show in my videos. I'm most excited for all of those beginners who feels stuck because they have a Windows PC and can't download Xcode. No more excuses; let's learn! If this helped you at all, please give it a thumbs up and share it with your friends and co-workers!